Knox is most noted for his production work with country superstar Jason Aldean (2011 CMA Award for Album of The Year – Jason Aldean’s MY KINDA PARTY) but with 23 number ones, over 45 Million singles and 20 million albums sold, Knox has many production credits to his name including Thomas Rhett (“It Goes Like This” 3 weeks #1, 50 million + one-week record breaking audience impression) Trace Adkins (Grammy Nominated “Just Fishin’”), Kelly Clarkson (collaboration w/Aldean on “Don’t You Wanna Stay” 2012 ACM Single Record of the Year and 2012 ACM Vocal Event of the Year), Bush Hawg, Ludacris (collaboration w/Aldean on “Dirt Road Anthem”), Luke Bryan & Eric Church (collaboration w/Aldean on “The Only Way I Know” 2013 ACM Vocal Event of the Year) Montgomery Gentry, Randy Owen, Rachel Farley, Josh Thompson, Frankie Ballard, Hank Williams Jr., Brother Trouble, Chuck Wicks, and Michael Tyler among others. He has produced 22 number one career singles for Jason Aldean with over 15 million albums sold, including “Big Green Tractor,” “She’s Country” (2009 Mediabase Most Played Country Song of the Year), “Dirt Road Anthem” (2012 Billboard Top Country Song of the Year), “Tattoos on this Town”, “Night Train”, “When She Say Baby” (2014 Mediabase Song Of The Year), “Burnin’ It Down” (2015 iHeart Radio and Billboard Top Country Song of the Year), “Light’s Come On”, “Any Ol’ Barstool”, “You Make It Easy” and his current single “Rearview Town”. Michael Knox co-produced “The Wrong Song” featuring Connie Britton and Hayden Panettiere with T-Bone Burnett and produced “I’m A Girl” featuring Hayden Panettiere, “What If I Was Willing” and “Hurtin’ On Me” Chris Carmack, “Can’t Say No To You” a duet with Hayden and Chris Carmack and “It’s On Tonight” Chris Carmack, Chip Esten and Will Chase for the ABC hit TV series NASHVILLE. Knox also serves as Senior Vice President for peermusic Group in Nashville. In 2013 they enjoyed the ASCAP Song of the Year “How Country Feels” (Randy Houser) and in 2016 the SESAC Country Song of the Year “Somewhere on a Beach.” Under the creative leadership of Knox, peermusic has built itself into one of Nashville’s top Independent Publishing Companies. In 2018, Michael Knox and Donny Walker (former Senior Director of Syndicated Radio for Westwood One) created the syndicated radio show Knox Country 360. Knox serves as both host and producer for the show. Another major accomplishment for Knox in 2018, was the launch of Music Knox Records with BMG. Through the new label imprint, Knox will focus on developing new artists. Shalacy Griffin serves as Senior Vice President for the Nashville based production company, Music Knox. She oversees the company’s day-to-day operations. 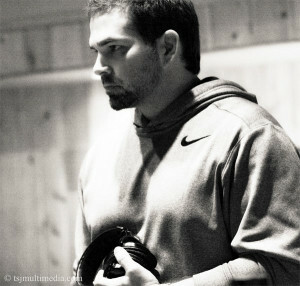 Griffin is also the production coordinator for award winning, multi-platinum producer Michael Knox. Her credits include projects on artists such as Jason Aldean, Thomas Rhett, Randy Owen, Michael Tyler, Tyler Rich, Chuck Wicks, Rachel Farley, Trace Adkins, Josh Thompson, Brother Trouble, Bush Hawg, Frankie Ballard, Brantley Gilbert, Montgomery Gentry, and Hank Williams, Jr., as well as songs for the ABC hit TV show “Nashville”. Griffin can also add musical credits to her resume. She sang background vocals on Jason Aldean’s 4X platinum selling single “Dirt Road Anthem” (4x platinum album My Kinda Party), as well as his GOLD single “1994” (2x platinum album Night Train). She has also performed on Hayden Panettiere’s “I’m a Girl” (“Nashville”), and projects for Trace Adkins, Big Smo, Michael Tyler, Brother Trouble, and Montgomery Gentry. In 2018, Michael Knox and Donny Walker (former Senior Director of Syndicated Radio for Westwood One) created the syndicated radio show Knox Country 360. Griffin serves as both co-host and production coordinator for the show. Before moving to Nashville, Griffin worked as a paralegal in her native state of Louisiana.